The third largest city of Switzerland, Basel is a modern and progressive city that is a budding tourist destination. The city from years has enjoyed being an important trade center because it is country's only cargo port. The location of the city is unique, as it shares borders with both Germany and France, even shares its airport and railway network with these neighboring countries. Basel is a city full of surprises, with a 2000-year history, located on the Rhine River. Basel is the least cherished city of Switzerland but a wonderful city, which is quieter than Zurich, farther from the Alps then Bern is and less international than Geneva city. On a city, tour tourists can discover the city's many attractions and places of interest. One can take a walk of the Old Town with its quaint streets and historic buildings, then give a visit to the Cathedral and several other historical churches. Basel's seat of the government the Town Hall, the old city gates - Spalentor, St. Johanns-Tor and St.-Alban-Tor, the Jewish Basel and the Zoological Garden are all worth visiting sites. The city with its unique location bordering France and Germany is one of the operators of the world famous Euro Airport, managed by the three nations Switzerland, Germany and France. 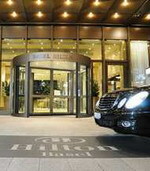 Hotels in Basel takes the full advantage of this and provides with excellent, comfortable accommodation options. Tourists to these three nations find Basel hotels an important accommodation center. Basel takes pride in its history, but at the same time very open to modern ideas. Art tops on the list of priorities and forms an integral part of the city as is the river Rhine. A single walk in the city lets you see many art objects that so portray the city's image. 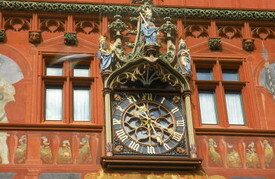 Basel city is also home to the oldest university in Switzerland, around 30 museums, the country's first musical theatre, a reputed internationally town theatre and numerous other small theatres. A visit during a jazz festival is a treat with top-class performers performing. Basel city also is flourishing on the conference and convention trade, with the vast Messe being Switzerland's largest conference/exhibition centre. Delegates and attendees to major events often occupy hotels in Basel in the city, thus making reservations a must. About the Author - Nancy Eben is an associate editor of http://www.stayresswitzerland.com. 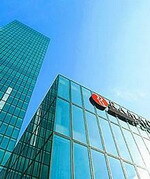 The website offers exclusive information of switzerland and Hotels in Basel. We also provide online hotel reservation of Basel hotels. Soak up city views from the Executive Lounge on the 8th floor of the Hilton Basel hotel. Unwind in the indoor pool and health club, or dine on regional or international cuisine in the restaurant. Visit the Old Town, just a 10-minute walk away, or do business in one of 11 meeting rooms. Enjoy international and regional cuisine at the Wettstein Restaurant, and Classic Hilton snacks and light meals at the Hilton Basel hotel's City Bar. All Hilton Basel hotel rooms have high-speed internet. Choose an Executive Room or Suite for access to the Executive Lounge. 20 minutes from EuroAirport Basel-Mulhouse- Freiburg, the Hilton Basel hotel has 11 meeting rooms with wireless internet access, business center and Executive Lounge. Enjoy the health club at the Hilton Basel hotel or play golf nearby. Shop at Freie Strasse or visit Basel attractions such as the Old Town. Further afield, visit the Roman town of Augusta Raurica before heading back for a relaxing sauna or steam room. Ideally located in the heart of the city, the Radisson SAS Hotel in Basel offers the unique opportunity to enjoy a peaceful and quiet stay in a vibrant Swiss city. Just 8 kilometres from the EuroAirport Basel-Mulhouse-Freiburg and 85 kilometres from Zurich International Airport, our hotel is suitable for business and leisure travellers.The hotel is within walking distance of the SBB Central Station, the zoo, the town hall, theatre, concert hall and other city attractions All 205 rooms and suites are fully equipped with high-quality amenities including Free wireless Internet access (WiFi) Cancellation insurance for hotel room booking on request Guests can enjoy our large indoor swimming pool, fitness facilities, sauna, and solarium Restaurant Steinenpick serves a wide selection of fish, meat and seasonal specialities Kaffi Mühli offers a menu with light dishes, coffee and homemade cakes and pastries The Oval Bar and Lounge is modern and chic and serves a choice of international drinks and cocktails. Experience one of the most modern hotels in Europe and enjoy a spectacular view from the tallest habitable building in Switzerland. Functionality and quality of design await you in 224 high standard Rooms and Suites. Start the day with Ramada Mornings - a Full American Breakfast Buffet. 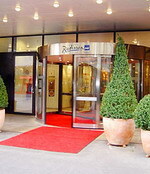 The Ramada Plaza Basel is located directly next to the Basel Fair Ground and the Congress Center Basel. Our guests find the city center within walking distance and the tramstop just a few steps from the Ramada Plaza. Our restaurant - Filou - offers regional and international delicacies with fresh ingredients from the local market. The combination of unusual lighting and architecture will impress you. Cocktails, longdrinks or a fresh beer are served at the - Timeless Bar. For insiders, the Skylounge on the 30th floor. A spectacular view over the city of Basel - 100 m above ground level. 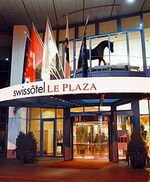 The Swissôtel Le Plaza Basel is the largest hotel in Basel, ideally located within walking distance to Basel many cultural sites such as ‘Fondation Beyeler’ or ‘Zoo Basel”, and directly connected to the Congress Centre Basel. The 238 beautifully appointed hotel rooms and suites reflect a contemporary style. For an invigorating workout or massage there is a well equipped fitness area. Le Plaza restaurant features modern Swiss cuisine whilst the Ô Bar is the ideal setting to enjoy drinks and snacks. The Swissotel Le Plaza Basel hotel has 8 in-house meeting rooms with daylight and meets the requirements of the Pharmaceutical Codex. L’Entrée meeting centre provides 7 additional meeting rooms and a large ball room with daylight.